Certified Nursing Assistants (CNAs) care for patients under the supervision of a registered nurse or other licensed healthcare professional. CNAs often have more direct contact with patients than other members of the healthcare team and might form close bonds with patients. As a certified nurse aide, you’ll potentially dress residents, toilet residents, give partial and full baths, take care of personal hygiene, check vital signs, feed meals to residents, document food/fluid intake, make beds, ambulate residents, prep residents for medical exams, and assist with medical treatments. You’ll need good communication and record keeping skills, to make note of your part in the treatment plan and share concerns with nurses. As a CNA, you may be responsible for cleaning and maintaining equipment and setting up equipment before use. Certified nursing assistants work in various healthcare environments and with patients of different ages, cultures, and healthcare needs. Some work in hospitals and clinics. Others work in outpatient or inpatient centers. The majority works in assisted living communities or long-term care facilities. In some cases, patients might prefer the comfort of their prefer own homes. A CNA might work in such a setting but always under the direction of a physician or licensed nurse. Certified nursing assistant classes utilize theory and practical instruction to provide students with basic nursing skills to adequately care for patients within the guidelines of state and federal laws. The training will emphasize common medical conditions and age-related issues. In addition to training and certification, you must have good communication skill to form relationships with patients and other members of the healthcare team. A job as a CNA may be rewarding of itself, but many choose to move into specialized areas of care, such as pediatrics, labor and delivery or geriatrics, or go back to school to get the educational preparation to become a registered nurse. The Nursing Assistant program at Valley College provides students with the skills and training to become a qualified provider of care. The curriculum is designed to be complete in just 6 weeks. Graduates will be eligible to sit the state certification exam for nursing assistants and provide direct nursing care in a long-term facility. The curriculum includes a blend of classroom theory and hands-on learning experiences in a school’s simulated lab and a long-term care facility. The course content includes basic nursing skills, nutrition, standards of care, infection control, restorative care, safety and emergency procedures, anatomy and physiology, and hospice care. Students will also learn communication, law and ethics, vital signs, personal hygiene, and range of motion. During the clinical experience, students will work in a real-world environment under the guidance of a professional nurse. After completing the eight units required by the Nurse Aide Training and Competency Evaluation Program, students will be capable of providing safe and quality care under the direction of a licensed nurse. Tuition costs $2,995 and includes lab fees, nursing kit, and the textbook. The nursing assistant program offered by the Adult Evening & Community Education Department at Mercer County Technical Education Center covers 150 hours of classroom and clinical instruction. The curriculum includes theory and practical opportunities to help students develop clinical skills. Classes meet Mondays and Wednesdays from 5:00 pm to 9:00 pm. 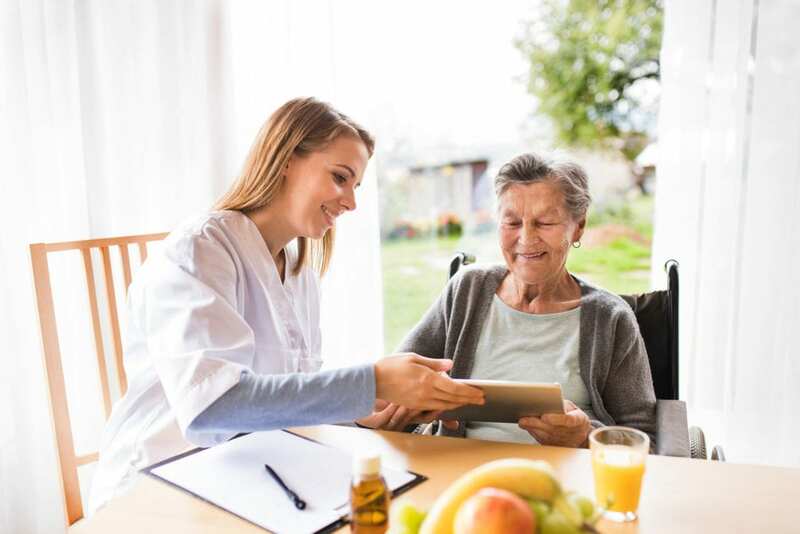 Areas of study include medical terminology, anatomy and physiology, infection control, vital signs, feeding and nutrition, personal care, Alzheimer’s care, range of motion, communication, safety and emergency procedures, and hospice care. The clinical experience will provide students with the opportunity to build their skills under the direction of a licensed nurse and gain valuable experience in the field of health. Graduates are eligible to take the state certification exam, which is required for state certification in the state of West Virginia. Tuition for the program is $600 and is due at the time of registration.